"The Bible describes many individuals as giants, and it also mentions several giant people groups. Interpreters have speculated about the size of these people with guesses ranging anywhere from 6 feet to more than 30 feet in height. Also, a great deal of misinformation about biblical giants has been proliferated on the Internet along with some fake pictures of supposed giants. 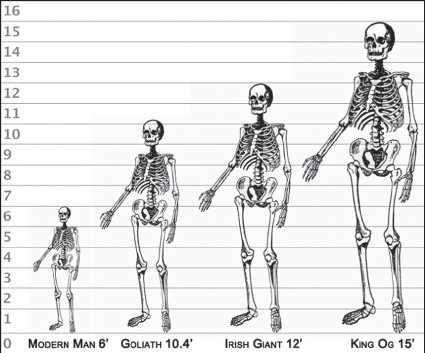 So did these giants really exist? If so, how big were they?"